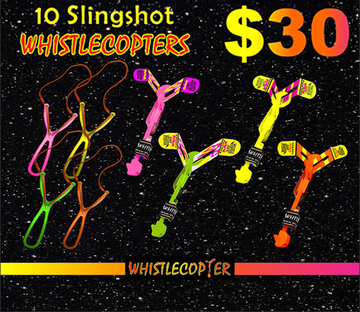 Ten maxi sling shots with our eight inch durable rubber band; also only WHISTLE COPTER has an eight inch rubber band. 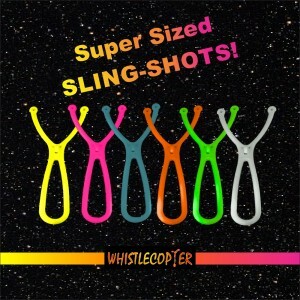 Designed for the ULTIMATE FLIGHT EXPERIENCE, the Maxi Slingshot Launcher produces higher flights while keeping your fingers from getting fatigued. 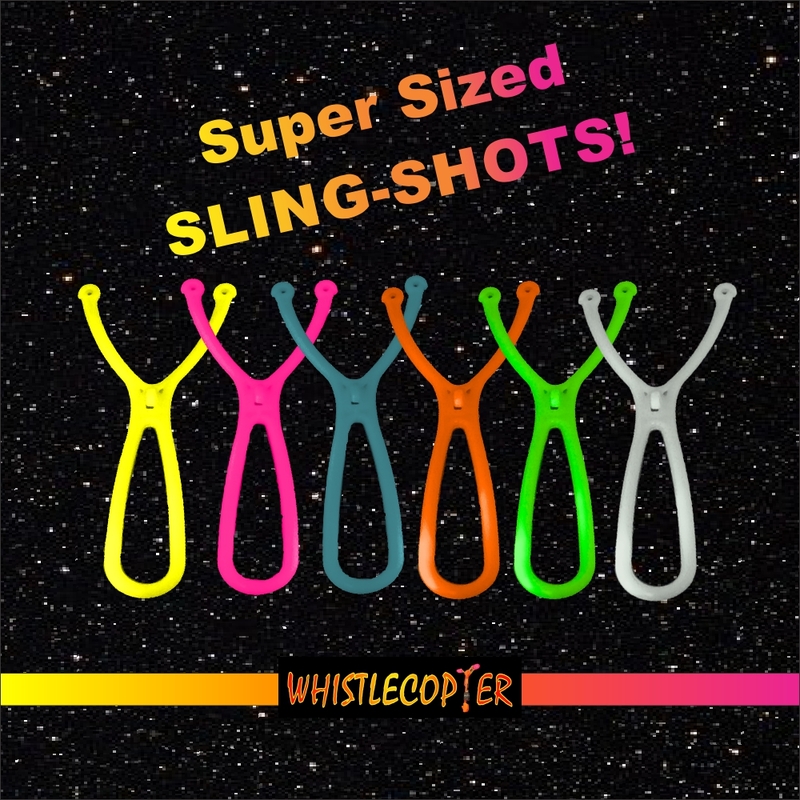 It is easier to launch a WHISTLE COPTER OR ORIGINAL COPTER with the maxi sling shot and to attain maximum shooting height for the real enthusiast. Add extra battery packs for the amazing price of fifty cents per battery pack. 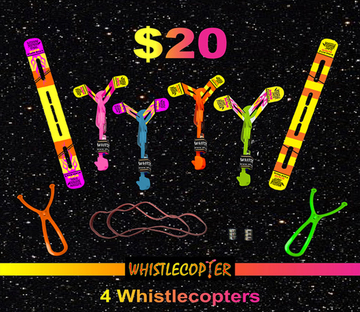 Buy them for your own use or call 305-785-4048 if you would like to become a vendor!! 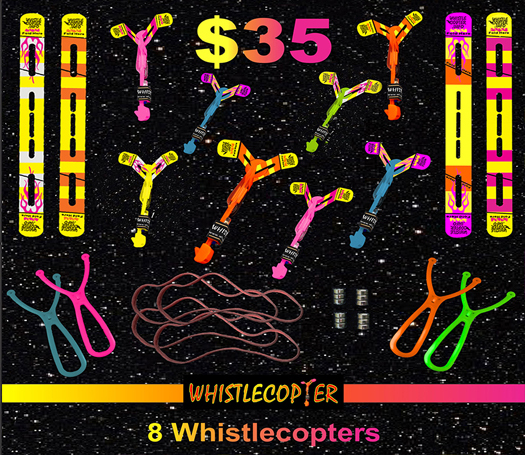 We do not have vendor wholesale prices on our site. 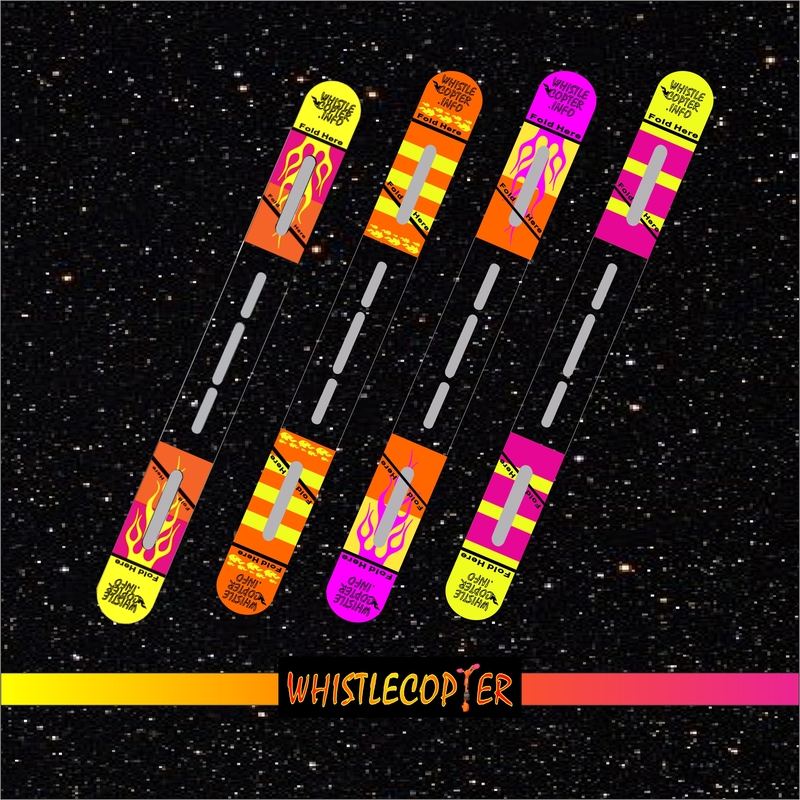 We are the Whistle copter. 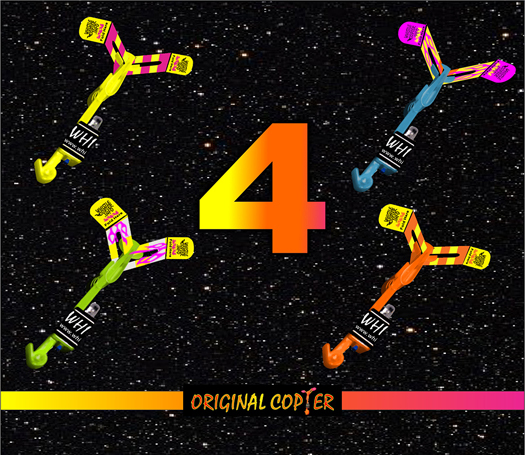 Our wings are very special compared to other micro flying copters that are just copies of ours. Our wings are made from very durable plastic and hardly ever break. They also once folded to the correct position hold their crease. They will never flap in the wind as all copies do. 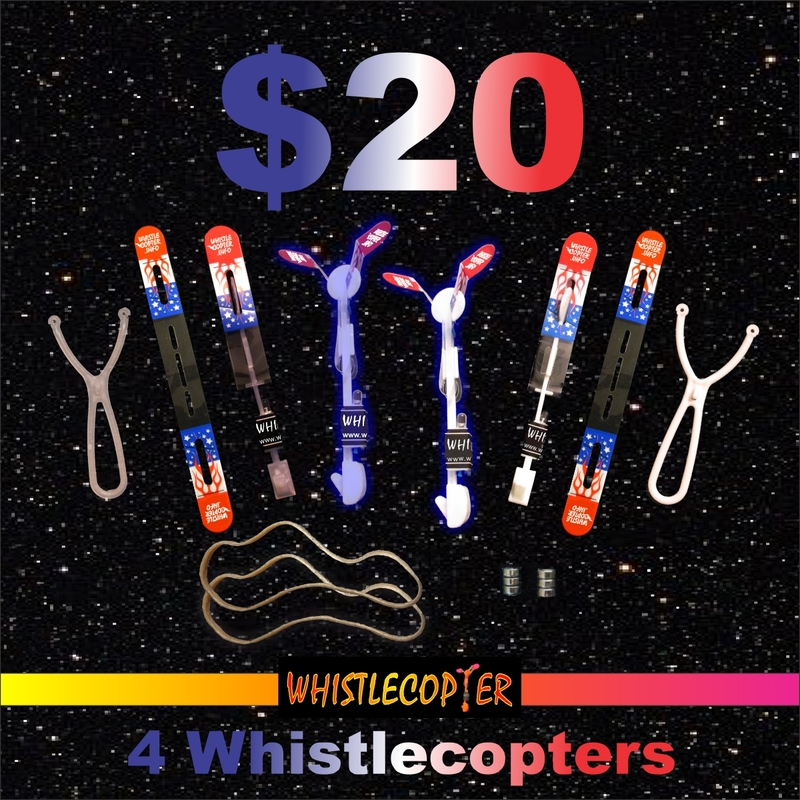 Without sturdy wings made out of very durable plastic your copter ride is short lived and you will never attain the 200 feet height that Whistle copter does. 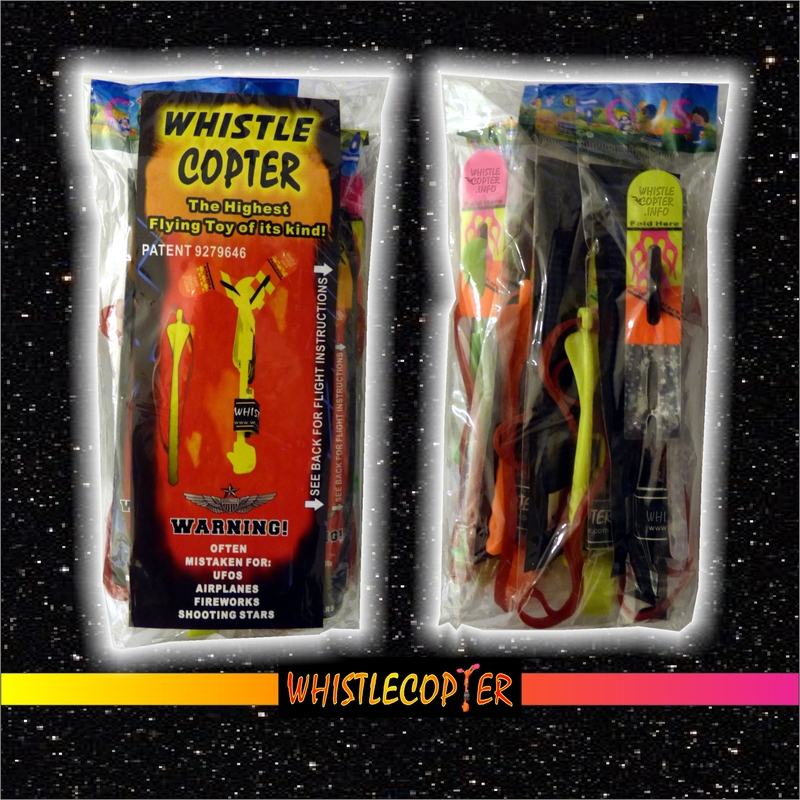 If you buy a copy you will also not attain the boomerang affect when you shoot into the wind as our Whistle copter do. 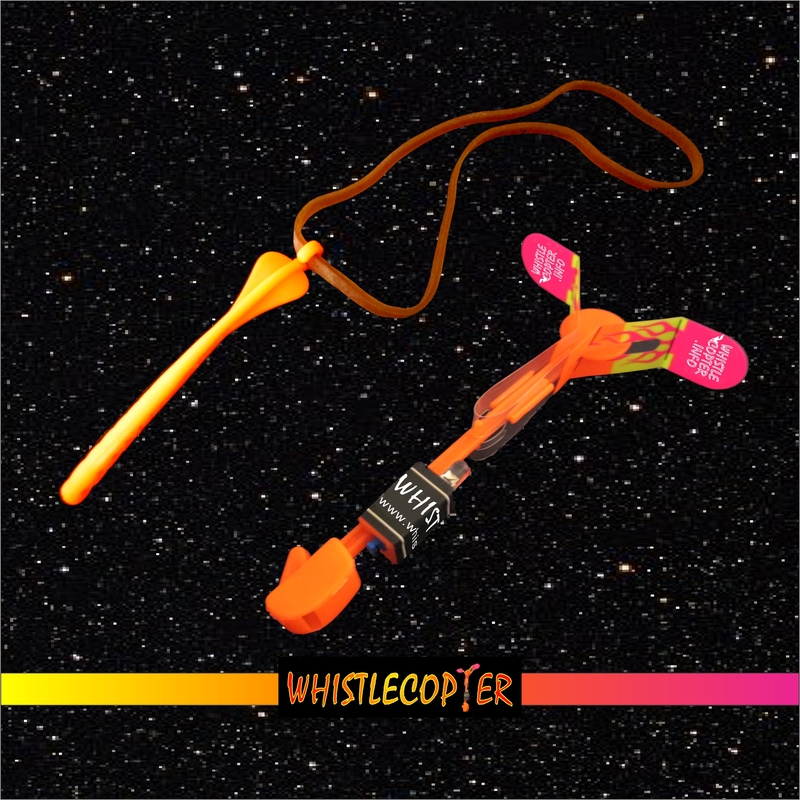 When they come back to you in the wind the expert copter pilot can just catch the WHISTLE COPTER or ORIGINAL COPTER as it spirals down them. 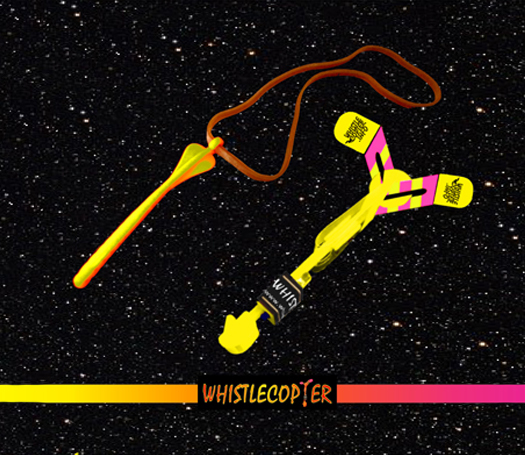 Ready to have fun with most amazing toys called WHISTLE COPTER OR ORIGINAL COPTER ? Fun for the entire family for all ages as young as four and even adults. 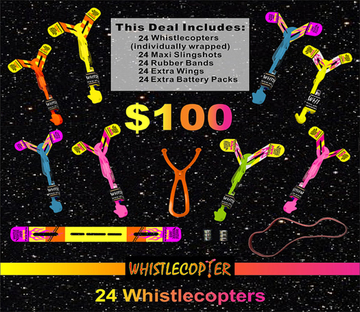 Great for parties, parks, festivals, beaches. Our copters are very easy to launch with the MAXI SLING SHOT for the experienced copter pilot as well as for someone who is a newbie. Made with highest quality plastic to assure you value for your money. Fold the wings. 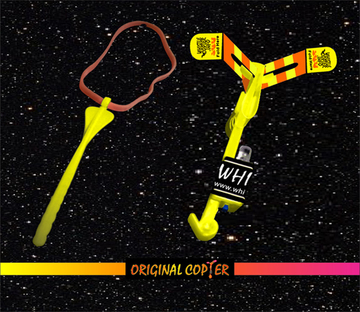 Launch the WHISTLE COPTER or ORIGINAL COPTER into the wind with our exclusive Maxi Slingshot Launcher with 8 inch rubber band to get the highest flight ! When it reaches the maximum height it will come back spinning in the air with its blades open for you to catch it. Read the instruction card in enclosed in each package. I wasn’t sure if my 2 girls were going to enjoy these.. Boy was I wrong! 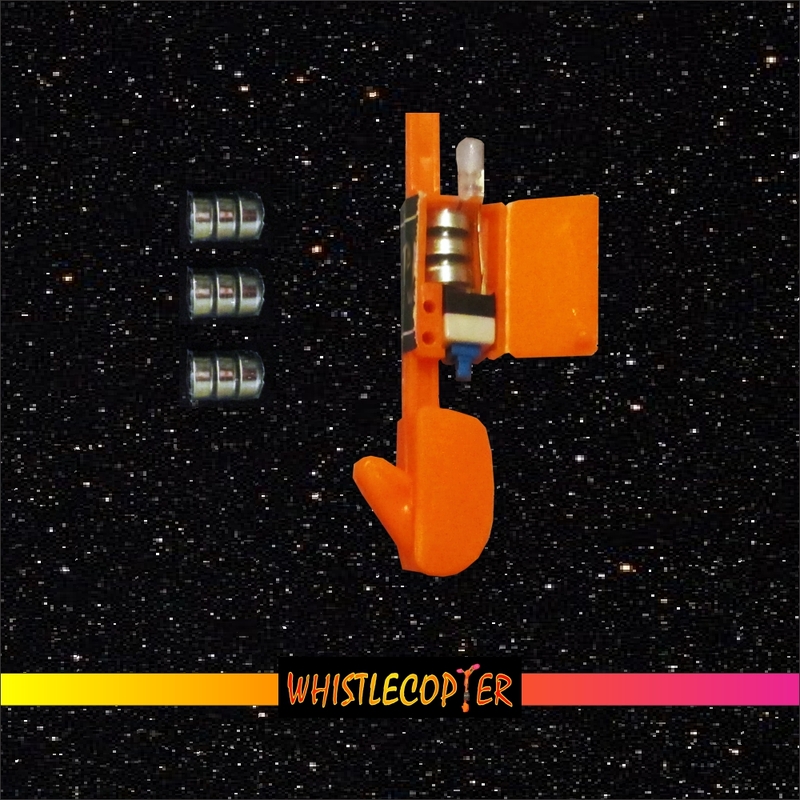 They even made some new friends in the neighborhood sharing their whistlecopters! 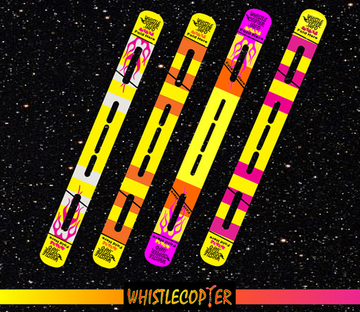 I love the whistling noise it makes, let’s you experience it so much more! Best customer service!! Will definitely do business again with Jack.